It explores how to slowly deepen the craft of teaching to grow expert practitioners who are committed to mastering their practice. It also reflects on strategies that will enable teachers to feel calm, confident and organised in a profession that can often appear relentless. Jamie Thom started his teaching career in central London and was an assistant Head teacher at a very successful school for two years. 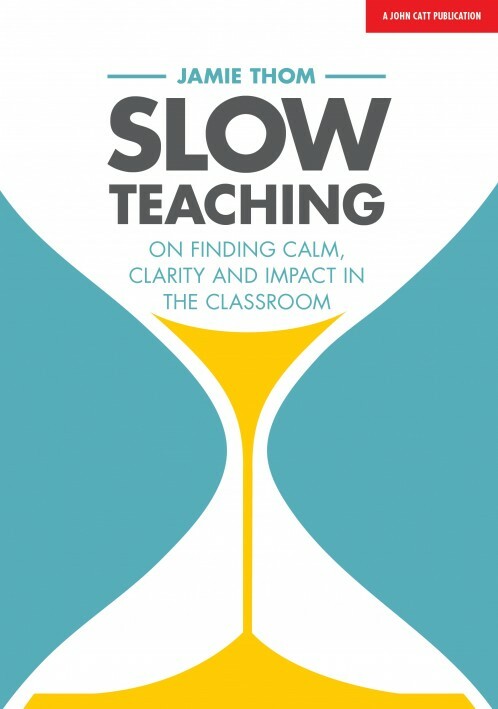 Since relocating to the North East, he started www.slowteaching.co.uk, where he has been exploring how to deepen knowledge of pedagogy and leadership, and how to alleviate teacher stress. "Each of the 21 chapters is clearly organised into sections and ends with a few questions to help the reader reflect on the content and how it applies to their situation. I was struck by how well thought through and expressed each section is; Jamie has a gift for getting to the nub of the matter. There are sections on Slow Talk, Slow Relationships, Slow Classroom Strategies, Slow Teacher Improvement, Slow Wellbeing and Slow Leadership. Each one is thought-provoking and refreshing." Sam Collins founder of www.schoolwell.co.uk.